As one of the countries with more serious desertification in the world, China's desertification situation is very serious. According to the results of the fifth national desertification and desertification monitoring organized by the State Forestry Administration, as of 2014, China's desertified land area was 2,611.6 thousand square kilometers, accounting for The total land area is 27.20%; the desertified land area is 1,721,200 square kilometers, accounting for 17.93% of the total land area. 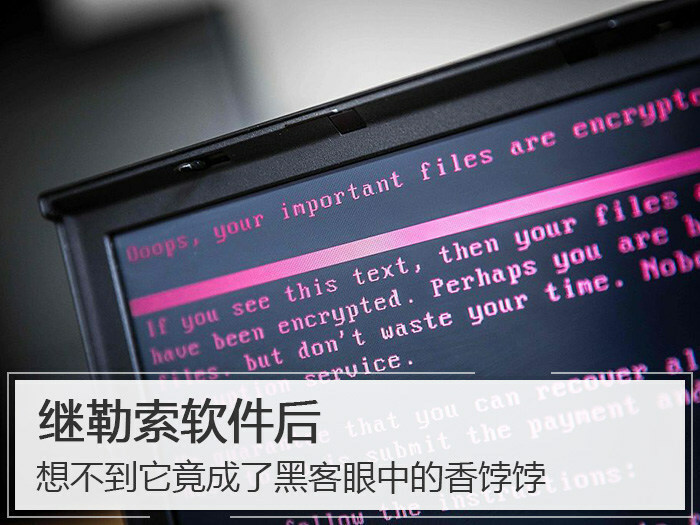 The situation of sand control is very serious. Preventing desertification and saving human homes has become an important choice before us. 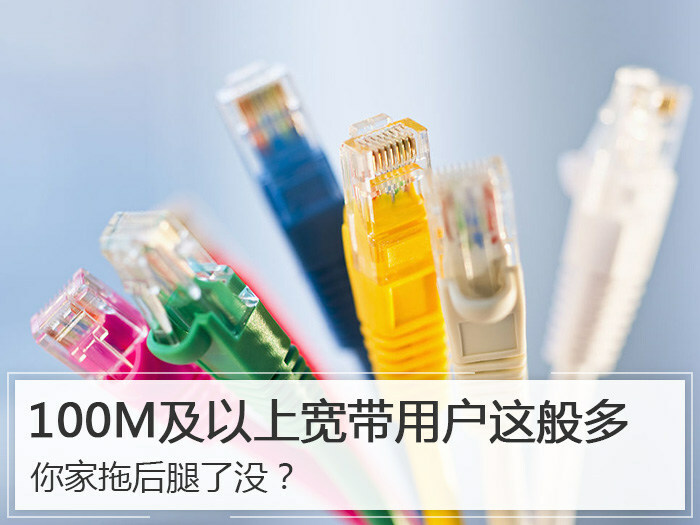 Recently, Konica Minolta Office Systems (China) Co., Ltd. (hereinafter referred to as 'Konica Minolta') joined hands with the group's brother company, combined with more than 10 authoritative IT/OA media and well-known mass media, in Wuwei City, Gansu Province. Lang County launched a two-day 'Tengger Sand Control Operation'. 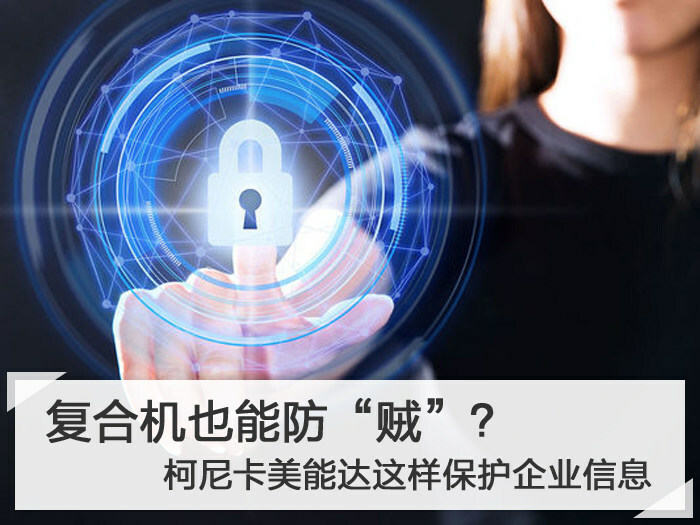 As a multinational company that always adheres to the concept of 'green management' and integrates 'corporate social responsibility' into its own operations, Konica Minolta is duty-bound to participate in prevention and control. 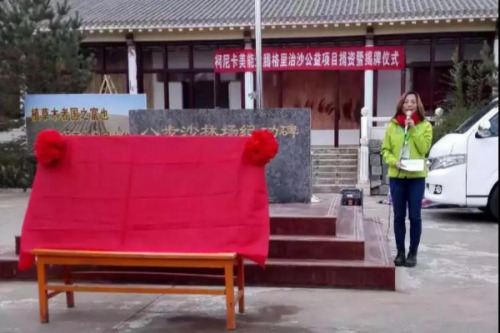 In the action of land desertification, we have made due contributions to improving the status quo of China's land desertification, building a beautiful sand area ecology and a green home of 'Green Water Mountain'. 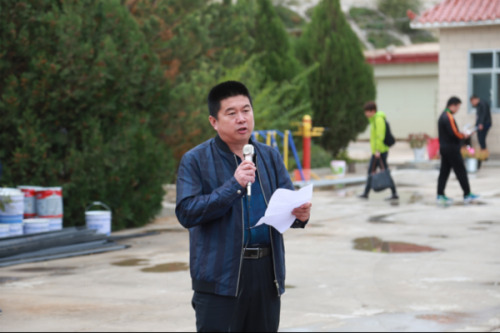 On September 27th, the chairman of Konica Minolta Charcoal Zhongyan, the head of the administrative management department Gao Muliyan, and the Zhisha volunteer team led by the marketing department, Mr. Ling Xiao, went to the Babu Shalin Farm in Gulang County, Wuwei City with the media guests. Carrying out the Tengger Sand Control Operation. 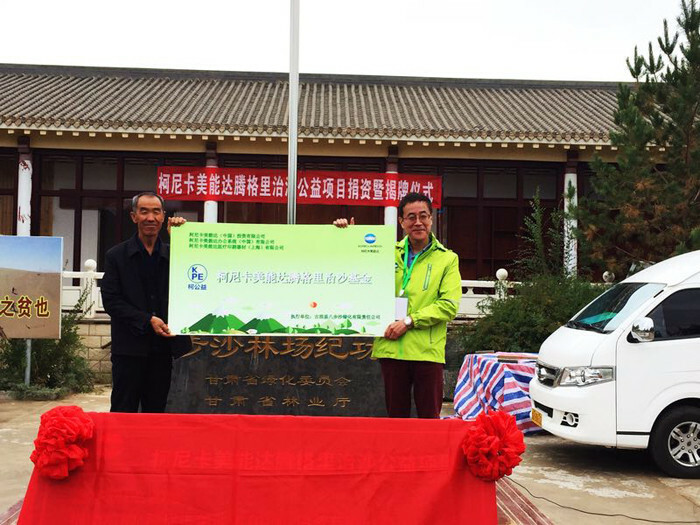 Deputy Director of Yang Xinshan of Gulang County Forestry Bureau, Director Jiang Xiangji of Gulang County Greening Committee Office, Deputy Mayor Yang Ruishan of Tumen Town attended the donation and unveiling of Konica Minolta Tengger Lisha Public Welfare Project ceremony. 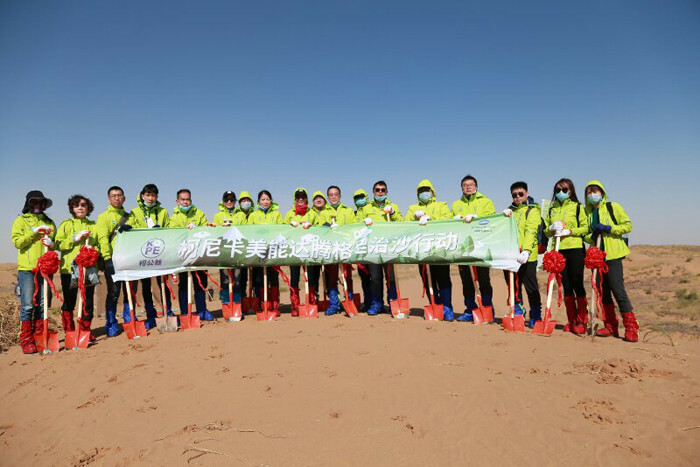 At the beginning of the unveiling ceremony, Deputy Director Yang Xinshan briefed the Zhisha team and media guests on the history and sand control achievements of sand prevention and control in the past 40 years. Due to the intensification of desertification erosion, the sandy land, which was originally only eight steps square, gradually expanded to 10,000. Acre desert, but through the unremitting efforts of the local three generations of sand control people, 340,000 acres of desert has become an oasis. 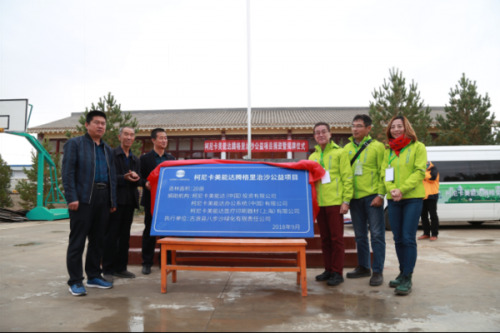 Local government representatives also expressed their gratitude to Konica Minolta for participating in desertification control, and expressed hope that with Konica Minolta To carry out long-term cooperation, and join hands with more people of insight in the society to invest in sand prevention and control, so as to create a green home and benefit the future. Konica Minolta Marketing Department Minister Ling Xiao said at the donation and unveiling ceremony that based on the corporate strategy of 'One Konica Minolta' CSR, since the beginning of FY18, Konica Minolta has launched a new group of public welfare brands - ' KOPE: Konica Minolta+Hope, and established the annual charity slogan of 'Having love, there is Ke Neng', and strives to focus on corporate social responsibility activities in the field of environmental protection and education with a more positive attitude. Committed to normalizing, extensively carrying out various public welfare activities, creating value that can enhance social quality, persevering, and duty-bound to contribute to the sustainable development of society. This time, 'Tengger Lisha Public Welfare Action' is 2018 Konica Minolta 'KOPE• Ke Charity' brand of important activities of the series of activities, the late Konica Minolta will also continue to invest resources, persevere, normal operation, and strive to build green mountains And the beautiful ecological contribution of the sand area. Subsequently, Konica Minolta Chairman Tan Yoshihiko donated the 'Konica Minolta Tengger Shasha Fund' to the Gubu Shalin Farm in Gulang County, and together with the local government representatives as 'Konica Minolta' The Tateng Grissa Public Welfare Project was unveiled. At the same time, Konica Minolta Group's three sales companies in Shanghai - Konica Minolta (China) Investment Co., Ltd., Konica Minolta Office Systems (China) Limited Company, Konica Minolta Medical Printing Equipment (Shanghai) Co., Ltd. donated 20 acres of afforestation to Babu Shalin Farm, Gulang County, Wuwei City. 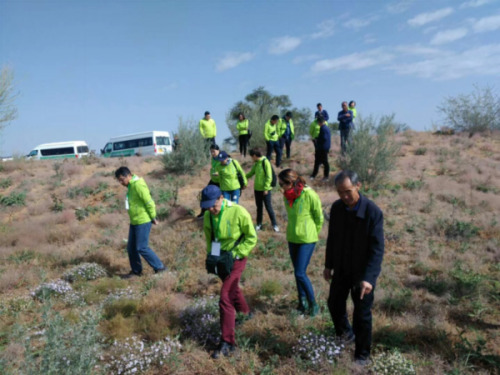 Konica Minolta expects to bring the concept of 'green management' to the desertification prevention and control in northwestern China. 2. 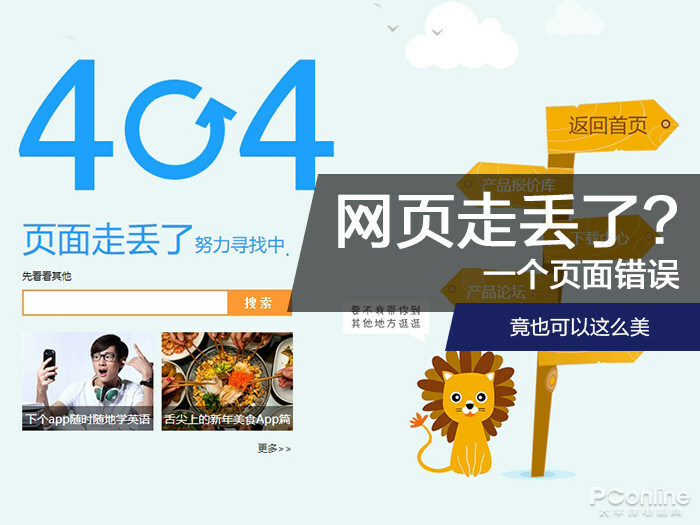 Actively respond to the green and low carbon development goals of the 13th Five-Year Plan of the Chinese government. In the autumn, it is suitable for sand and grass to fix sand. 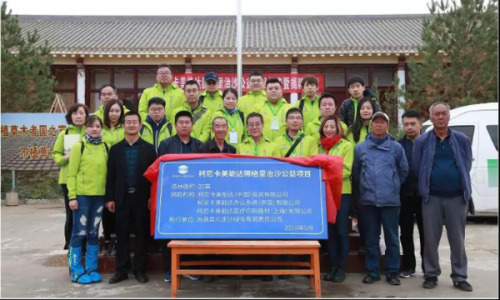 Under the guidance of the staff of the forest farm, Chairman Konica Mina of Konica Minolta, Minister of the Administrative Management Division Takagi Ryuhiko, Minister of Marketing Department Ling Xiao and the media guests, the forest farm staff carried out together. Pressing the grass and fixing the sand. The two days of hard work are fruitful, and a large solid sand grid is in front of you. Until the spring of the next year, the drought-resistant plants can be planted in the sand barrier. 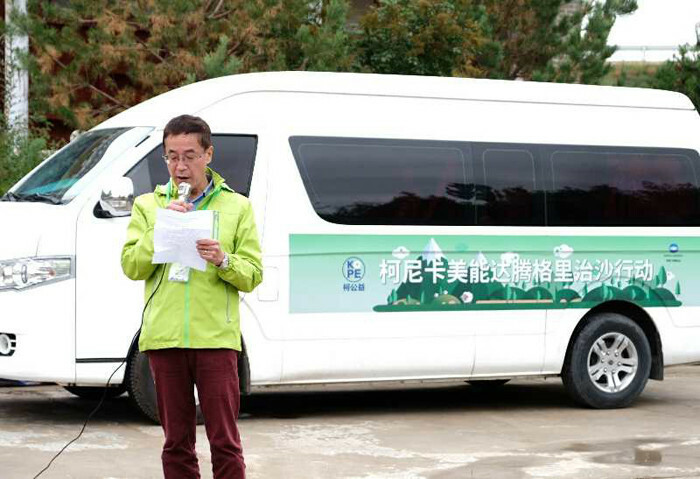 All of them can make the local residents take a step closer to the dream of green mountains and green hills. Konica Minolta has opened a new green chapter in the Tengger Desert with practical actions. 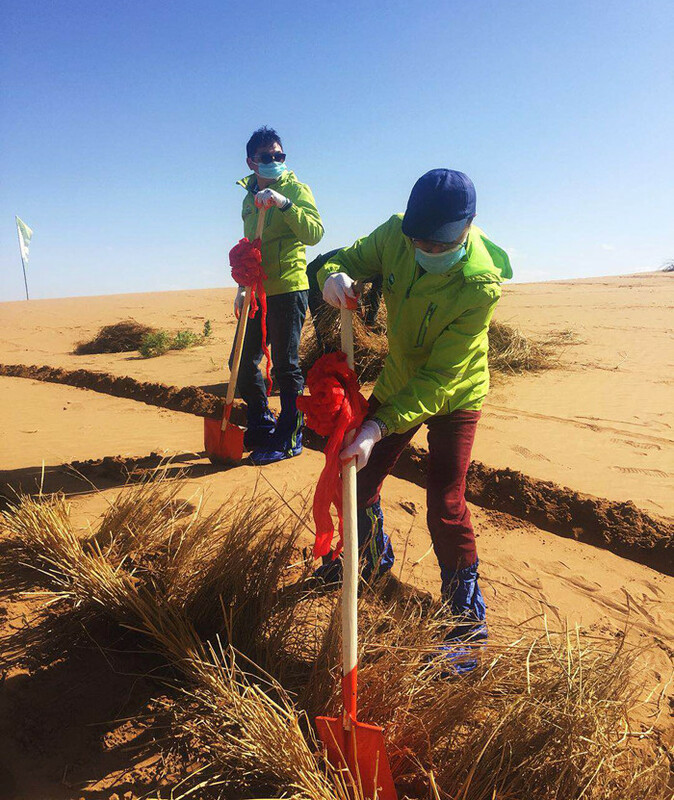 This year's Tengger Sands Operation, as the first year of Konica Minolta's participation in the desertification prevention and donation afforestation public welfare activities in Northwest China, launched the first shot to enter the long-term war of sand control in Northwest China. Contributing 'and' to contribute to the improvement of human life quality' is the two pillars, and is committed to creating 'new value for human society'. 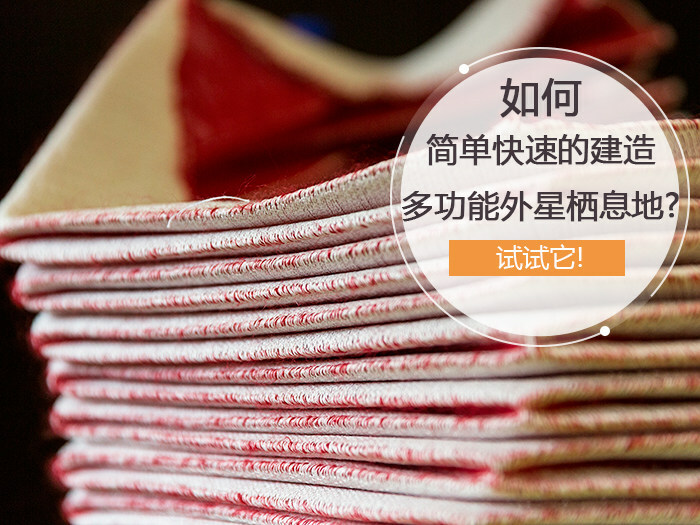 Konica Minolta is doing its best to promote environmental protection and sustainable society. A positive example. 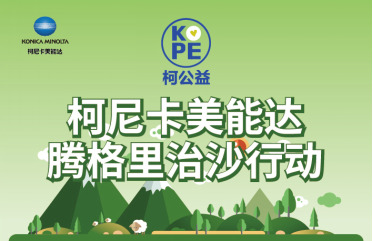 In the future, Konica Minolta will use the 'One Konica Minolta' strategy as the fulcrum, and through the strength of the Group, we will join hands with partners to contribute to more social welfare undertakings and continue to expand education and environmental protection. CSR activities, courage to undertake more and greater corporate social responsibility, and work together to make greater contributions to the good life of mankind and the sustainable development of society, and to achieve both 'improving corporate value' and 'creating value for society'.